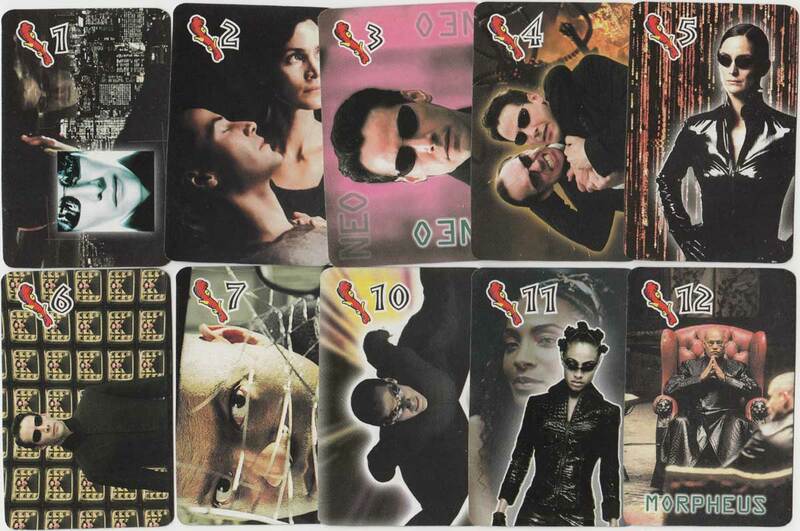 Matrix Reloaded spanish-suited playing cards, based on the science fiction action film, published anonymously, 2003. 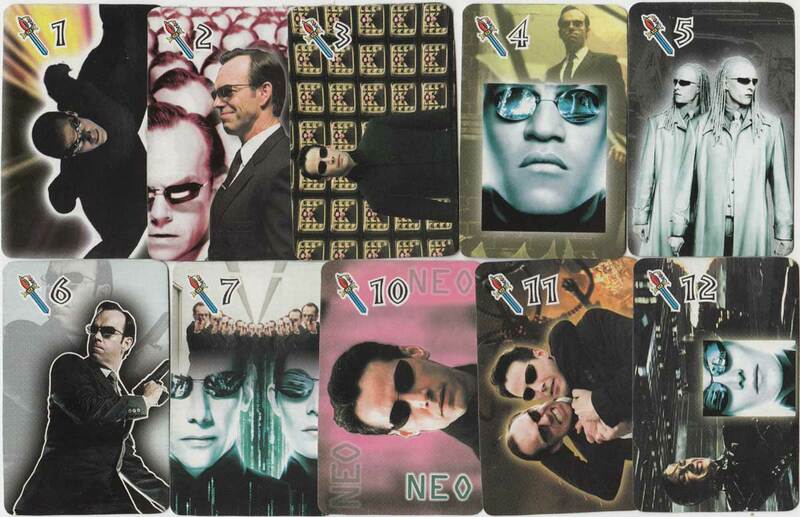 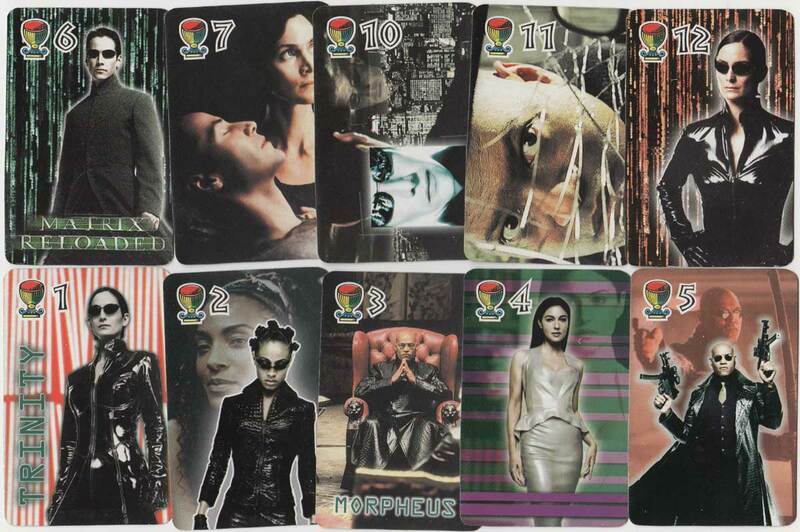 Above: Matrix Reloaded playing cards published anonymously, 2003. 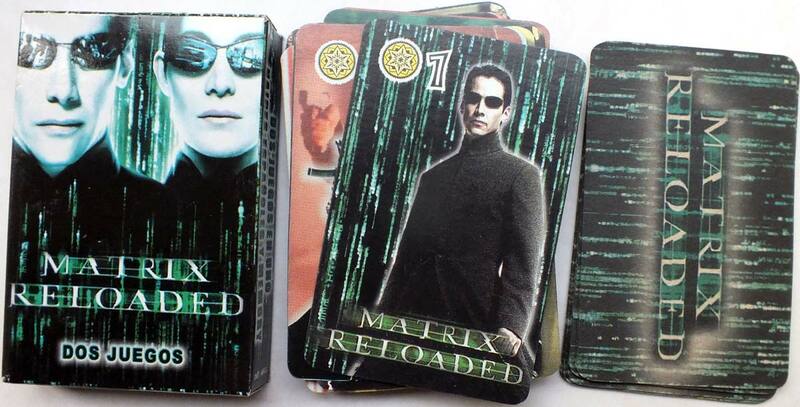 40 cards in box. 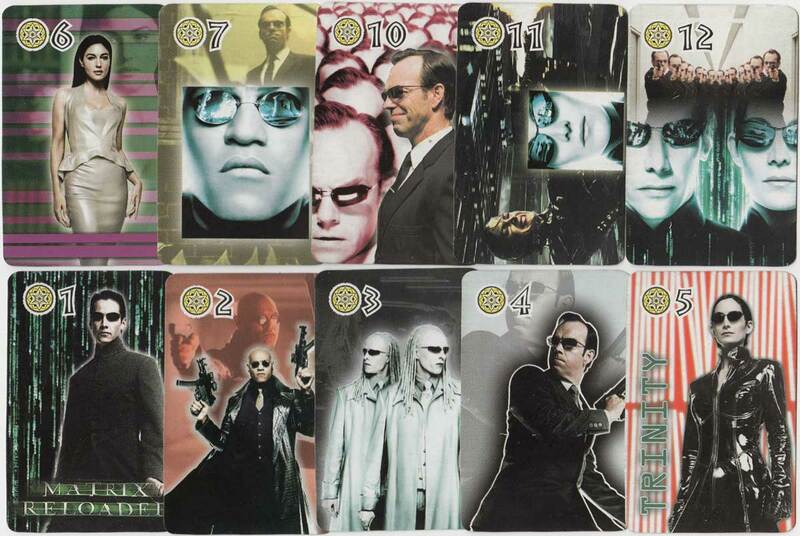 Twenty different scenes from the film are repeated so that matching games can be played to develop memory skills.